Are you a dedicated and weekly golf player? Well you are going to love this great new app that is sure to be of great help during your golf playtime! The app is called RangePRO Golf, and it is a free golf tracking app available for both iPhone and Android users. It has tons of cool features that you can use, in order to have a much smoother golf experience. With the app, you really feel like you have a professional pocket-sized caddie by your side. The RangePRO Golf app can be used on any golf course around the world. 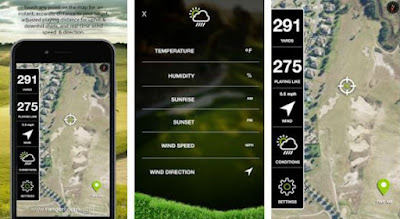 You can use the app’s aerial view feature, which uses Google Maps to show you the full golf course terrain based on your location. You can also use the app to touch anywhere on the map and on your screen and instantly determine accurate distances between your position and the one you’ve selected. Distances can be viewed in either yards, so pick whichever suits you best. RangePRO Golf has tons of other small and fulfilling features that you can go over once you check out the app for free. The app can be found and downloaded from either Google Play or the App Store.